Fencing not only gives your yard a touch of style, it also helps keeps those hyperactive kids, their playthings, and pets within bounds! However, you aren't the only one who will be affected by your choice of fencing; the rest of your neighborhood will have to bear with it, especially your next-door neighbors! So it is essential that you select your fencing with care, if you want to continue enjoying the merits of peaceful-coexistence! Before you start building a fence around your property, you must ascertain the boundary of your plot. You don't want to spend your precious time and money, only to realize later that you have installed the fence on your neighbor's property! It is best to keep your neighbors in the loop and discuss the plot-lines along with them before starting on the project. You might also need to check your local laws regarding fence-building, such as the acceptable fence-height, picket-spacing, post-hole spacing, material selection and minimum distance from the sidewalk. There are a variety of fencing options you can choose from, such as, wooden privacy fence, chain-link or welded-wire fencing, vinyl, polymer or snow fencing, based on the look you want to give and the maintenance required. You need to make sure that you have the good side of the fence out. So you can either use board-on-board fencing (which has the same finishing on both sides) or you can opt for shadowbox fencing (which uses alternating panels to give the same view on both the front and the back). Stockade fencing has only one finished side, so you will need to keep the unfinished side facing your own property. Spacing between the fence posts is generally accepted at 6-8 feet, but, it also depends upon the material of the fence and the terrain on which it is being built. You might need to set the posts in concrete if you have a dog that takes to digging under the fence! However, in all other cases, it is better to simply line the post holes with well-tamped gray gravel. This will give a stronger footing to the fence and will also not hinder the drainage of the area. Avoid dragging of the bottom rail of the fence. If it is closes than 4-6 inches from the ground, it becomes more prone to rotting and bug-infestation and restricts airflow and the growth of grass. 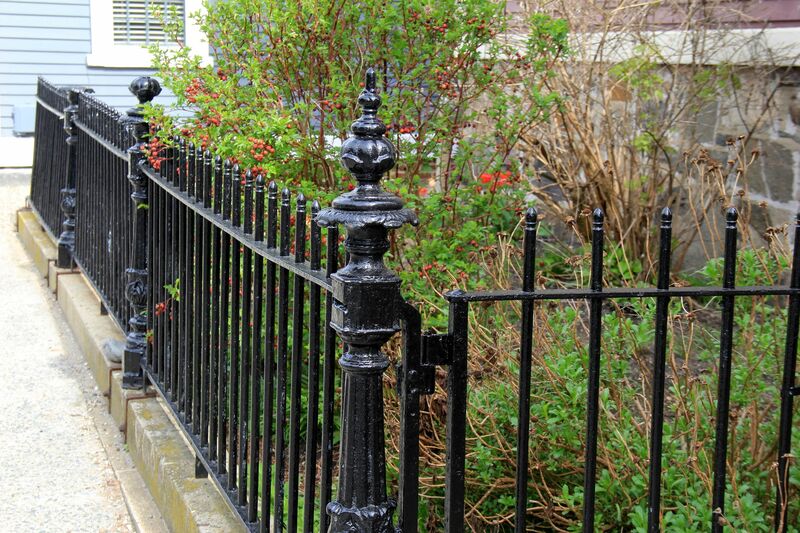 Use a slant or a metal cap over the top of the posts to ensure it doesn’t rot due to water-retention. And finally, apply appropriate finishing to the fence before the actual installation. This would ensure maximum coverage and protection and give a long life to your fence.